Don't want to think about your workday or work week? Tired of treadmills, dumbbells and endless (yawn) reps? Siam Fit exercise class is fun, the ultimate de-stresser, and a great total body workout. 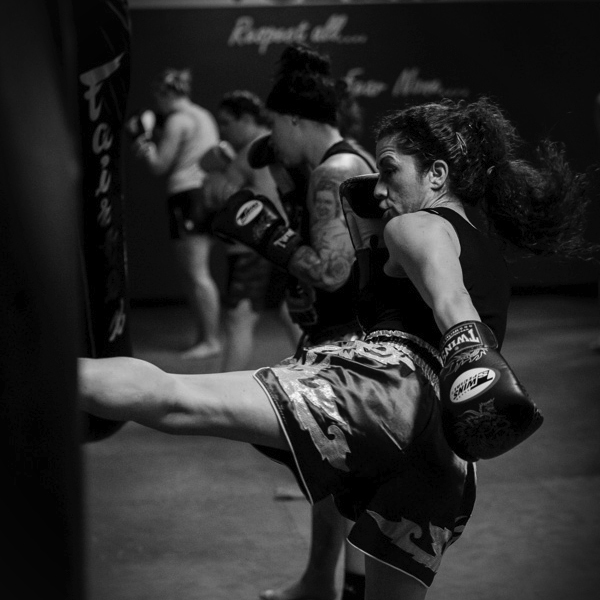 The Siam Fit Class is a circuit-training class using a mix of various Muay Thai techniques and skills using heavy bags for striking (there is no person-to-person contact). No two workouts are the same — get a challenging, cross-training workout that will build your strength and cardio vascular endurance. Exercises are scaled to accommodate all fitness levels. For men and women of all ages. No previous Muay Thai experience necessary. First trial Siam Fit class is FREE. Contact us today.